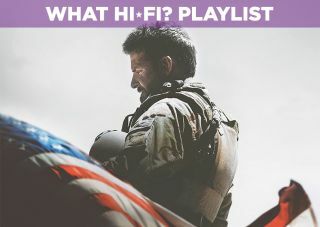 American Sniper – film review | What Hi-Fi? Clint Eastwood's enormously successful American Sniper arrives on home cinema platforms – but is it more than just another tale of war? American Sniper's success is not to be sniffed at. A drama based on events from the invasion of Iraq, Sniper made almost $550 million at the box office worldwide. It is by far the most successful film to come out of the conflict. So where did American Sniper go right where so many others, at the box office at least, went wrong? Part of that may be down to Warner Bros.' fantastic marketing that included a scintillating first trailer (below) and iconic imagery (above), which drove people to see the real-life story of Navy SEAL Chris Kyle – credited with the most sniper kills in history – as he coped with the violence he saw (and meted out) while trying to be a father to his family. As Eastwood's film depicts it, this wasn't easy. Despite that box office success, Sniper isn't a wholly successful film. It's rough around the edges, in a hurry to tell what is a fascinating story about post-traumatic stress disorder, once you navigate the hoo-rahs and 'Get Sums'. Several early scenes feel clichéd, as though they could use a little more depth, and some scene transitions are clumsy as Eastwood rattles though the story. It's a film that's direct and to the point – it goes at a fair clip but lacks cohesion at times. It can be very simplistic, too. Eastwood tells the story in a basic, unflashy manner (a deliberate choice) while the script from Jason Hall condenses about 10 years into two hours. On a more positive note, Sniper is less concerned about the politics of the Iraq war and more about the mental strain Kyle feels as he charges himself with keeping his fellow soldiers alive. On the few occasions when he doesn't get his target or a soldier is killed, Kyle is racked with regret - and this spills into his home life. Sienna Miller has more room to assert herself than she had in Foxcatcher as Kyle's wife Taya, and her relationship with Kyle ties the Iraqi and domestic scenes together. She's good in the role and an example of how war doesn't affect only those who have been on the frontlines. Like Eastwood's direction, the DVD of Sniper isn't flashy and this transfer does a nice job of displaying the grit of war. Flesh tones are natural, colours are nicely sketched, with the Iraq scenes dominated by muted greens and sandy browns. It's the dirt and detail that's particularly good here. The integration of visual effects could be better, though. A scene in a sandstorm suffers from some unwanted artifacts that mar an otherwise very respectable visual presentation. As for audio, dialogue is clear for the most part, though some of Kyle's words sound a touch muffled every now and then. There's nothing particurlarly showy here, but gunfights crackle with intensity and sounds are clear and well-directed. We especially like the 'pfft' sound of the suppressed rifle fire, not to mention the 'ting' as casings hit the floor. The Blu-ray release also comes with Dolby Atmos encoding. American Sniper divided critics on its release. That may be down to the film's refusal to take sides – Sniper could be viewed as thinly veiled propaganda or anti-war sentiment. What the focus should be on is the story of Chris Kyle, a soldier who encountered some nightmarish decisions and situations. At times American Sniper is flawed and over-simplistic, but it's also tense and resonates emotionally. It's Eastwood's best film in quite some time.